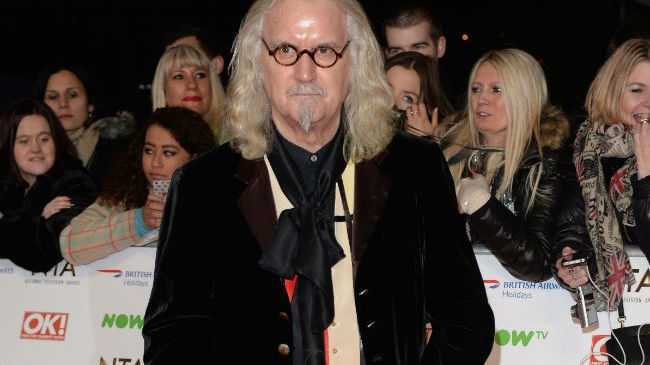 BILLY Connolly's battle with Parkinson's disease is the first thing he thinks about when he wakes up in the morning. The 73-year-old comedian was diagnosed with the progressive disease four years ago - in the same week he was told he had prostate cancer and had two hearing aids fitted - and, although he's determined not to let it get to him, the thought of illness plagues him every single day. Speaking backstage at the National Television Awards in London last night (20.01.16), in which he picked up the special recognition award for his career in comedy, he told BANG Showbiz: "It's managing me. It's kind of weird. It creeps along and it crawls along. It's the first thing I think about when I wake up in the morning. So I try to make the second thing I think about more interesting." And, although Parkinson's is a disease of the nervous system, the legendary funnyman - who has three children with wife Pamela Stephenson and two with his first wife Iris Pressagh - certainly isn't letting the illness stop him in his tracks as he learnt to tango last year. He said: "I would like to learn to do ballet. I did learn to tango about six months ago but nobody would dance with me." Meanwhile, the 'Hobbit: The Battle of the Five Armies' actor recently admitted he's not scared about the thought of dying. He said: "It has never crossed my mind that I am gonna die. What is dying anyway? It is just a light going out?"